Have you set up your own Google AdWords account and started running ads on the Google Network? Chances are you aren’t enthralled by the results and possibly the costs either. You may have expected to pop an ad up, throw some money at it and watch the sales come flooding in. But when that doesn’t happen, you lose faith in Google AdWords, throw your hands in the air and assume it doesn’t work or it’s too expensive. However the reality is probably much further from this. Here are the main reasons why Google AdWords may not be working for you – and what you can do about it. When you went to open your Google AdWords account, did you set up an AdWords Express account? AdWords Express is designed for small business owners to set up and run their own campaigns but it is a very simplistic version of AdWords and doesn’t give you anywhere near the amount of control as a regular AdWords account does. This can result in you wasting your precious marketing dollars and thinking that AdWords doesn’t work. If you’ve set up a regular AdWords account – well done! However, did you change any of the default settings in your campaigns? Chances are, you didn’t and this can end up costing you money. The one that annoys me the most is the ‘Search with Display Select’ setting which means your ads won’t just appear on the search results pages but also across the display network. This often results in high impressions (your ads being shown many times) and a lower click through rate (CTR) as display ads have much lower clicks than search ads. There are a host of other settings that often need to be changed too depending on what your objectives are. How many ad extensions have you added to your campaigns? And at what level have you added them? If you have no idea what I’m talking about then you probably haven’t added any. You can add all sorts of awesome ad extensions to make your advert bigger, more relevant, and increase the chances of your ad appearing higher on the page. OK, so you’ve set up your campaigns, edited the default campaign settings and created your ad extensions. But how often are you checking your ad group, ad and keyword performance? Keeping a close eye on your campaigns is crucial but you also need to know what you are looking at in order to make the right tweaks to improve your return on investment (ROI). 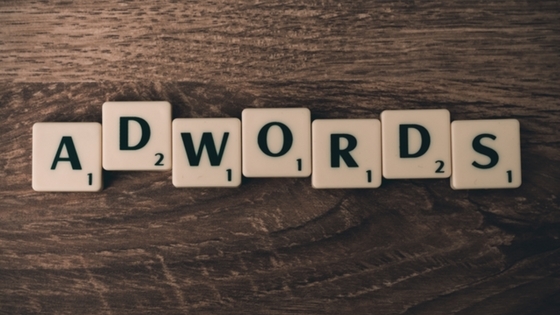 Have you got stuck at some point and called Google AdWords for support? Even the professionals need to call for help with some issues and let me tell you, there is a vast range of knowledge on the other end of that line. Some of the team are really knowledgeable about all things related to AdWords and unfortunately, sometimes I’ve spoken to ones who have known far less than I have. You may have got some great advice from them, but you also may have got some not so great advice too – and the problem is you just don’t know what kind of advice you’ve had. All of these add up to business owners often giving Google AdWords a go, not having much success and then blaming the platform, but in reality, there are a heap of factors involved in the success of any AdWords campaign. If the thought of running your own Google AdWords campaigns fills you with dread, speak to me today. As a Google AdWords specialist in Perth, I can help make sure you are getting the return on investment that you need to make Google AdWords work for you.